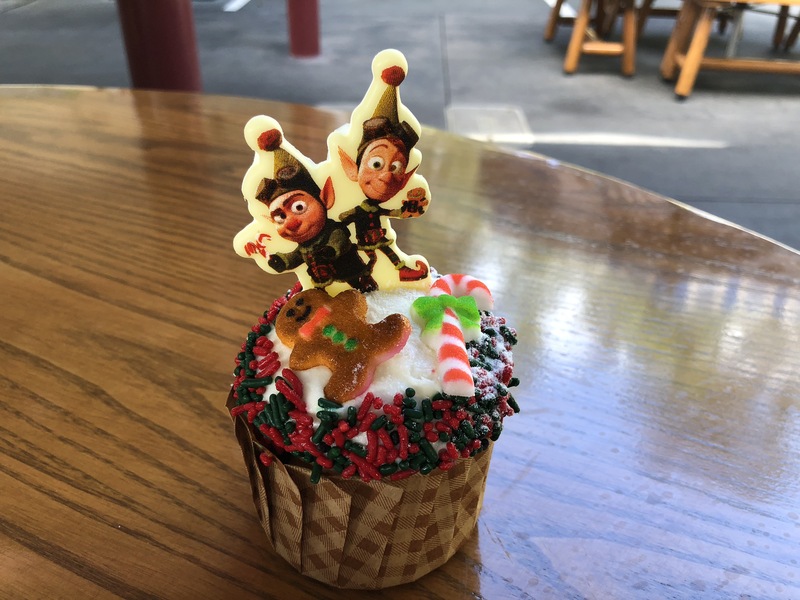 It’s Christmas at Disney’s Hollywood Studios and that not only means new shows, but also some new treats! Let’s dig in. 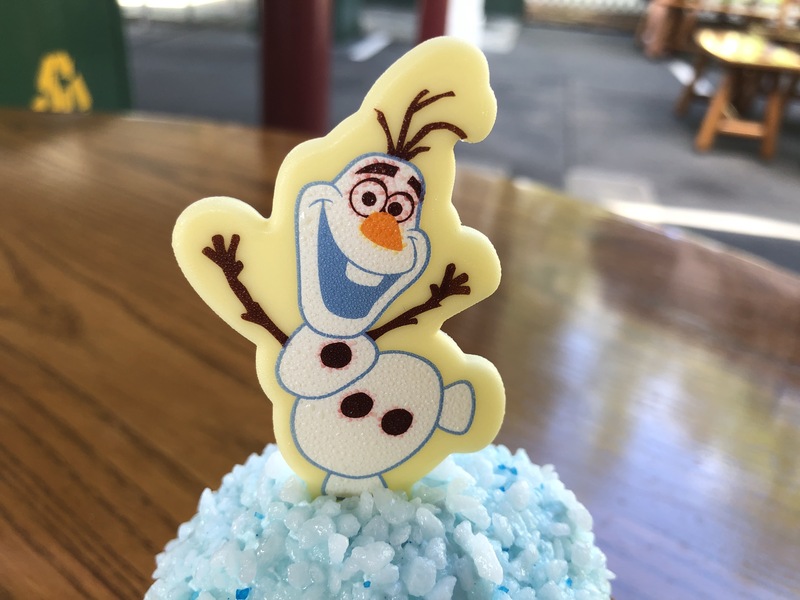 The Olaf Cupcake has a blue buttercream frosting spread over a chocolate cupcake. All flavors were exceptionally rich and delicious! 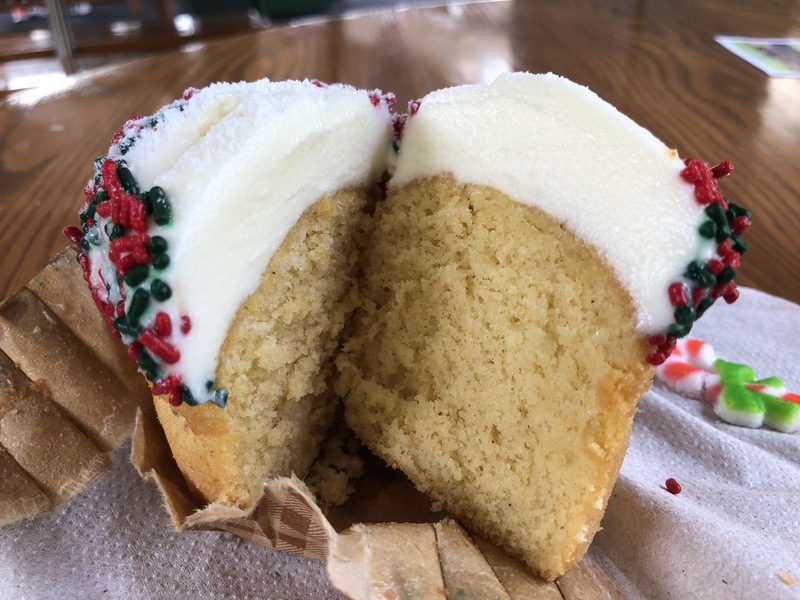 A cream cheese frosting atop of a gingerbread base proves to be an excellent combination. The gingerbread flavoring is spot on. 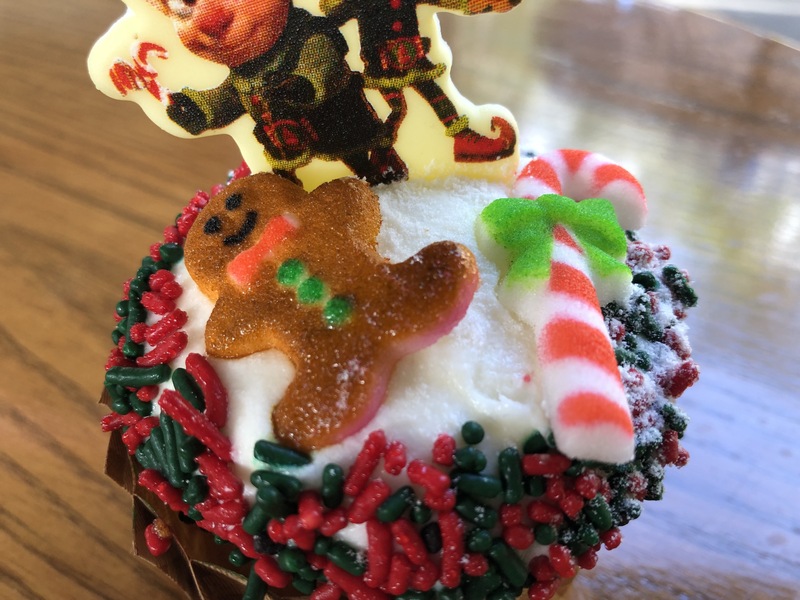 The decorative gingerbread man and candy cane is made with pure sugar, poured into a mold, and painted. 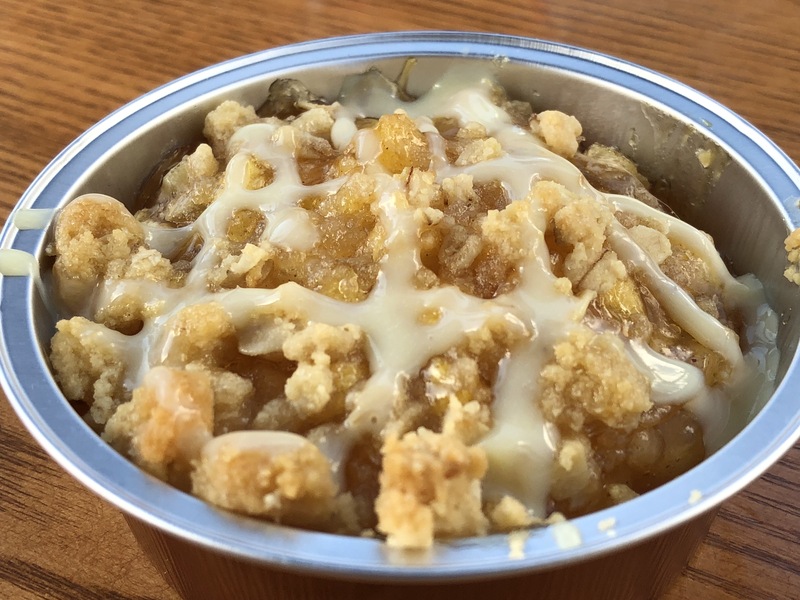 The Apple Cranberry Cobbler comes served warm to hot. The prominent flavor is cranberry, despite a healthy portion of apple. 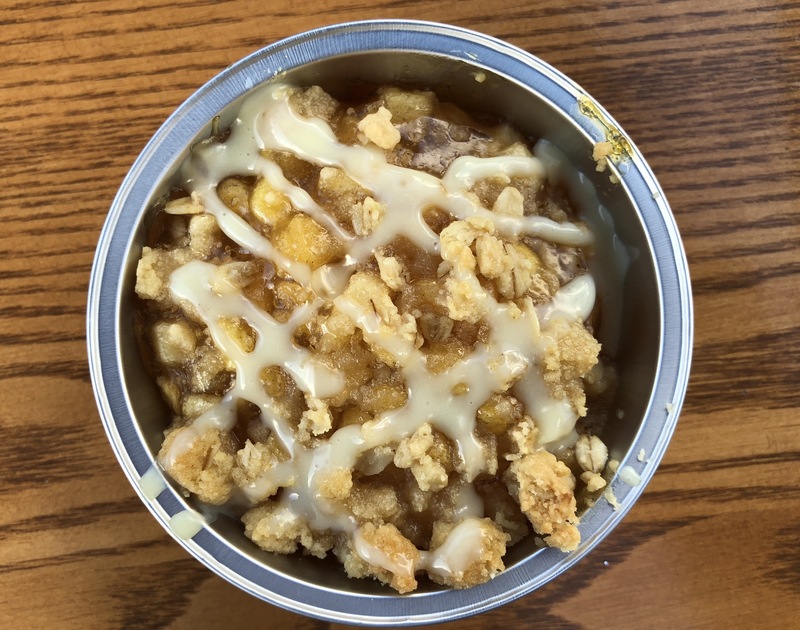 The few bites of crumbles that you get are enjoyable, but we found it to be maybe a bit too sweet, overall. 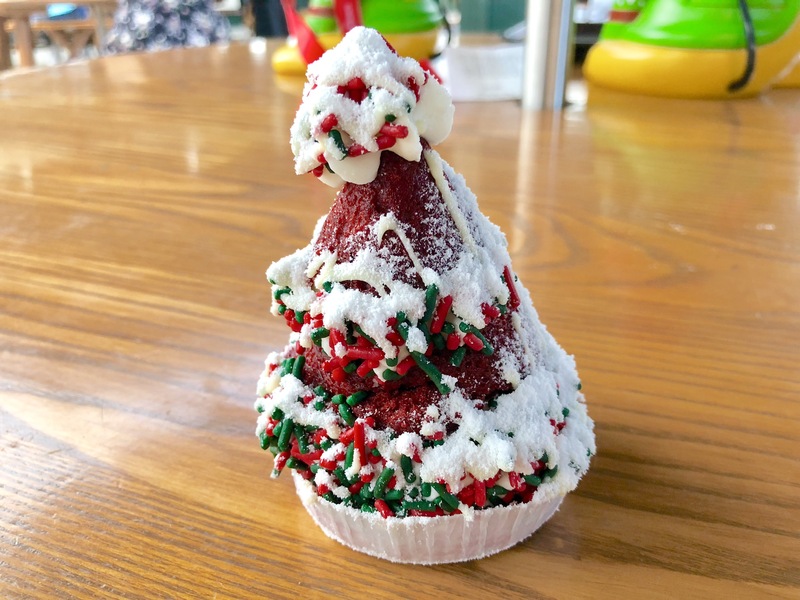 The Red Velvet Holiday Woopie Pie features layers of red velvet cake, separated by vanilla frosting. 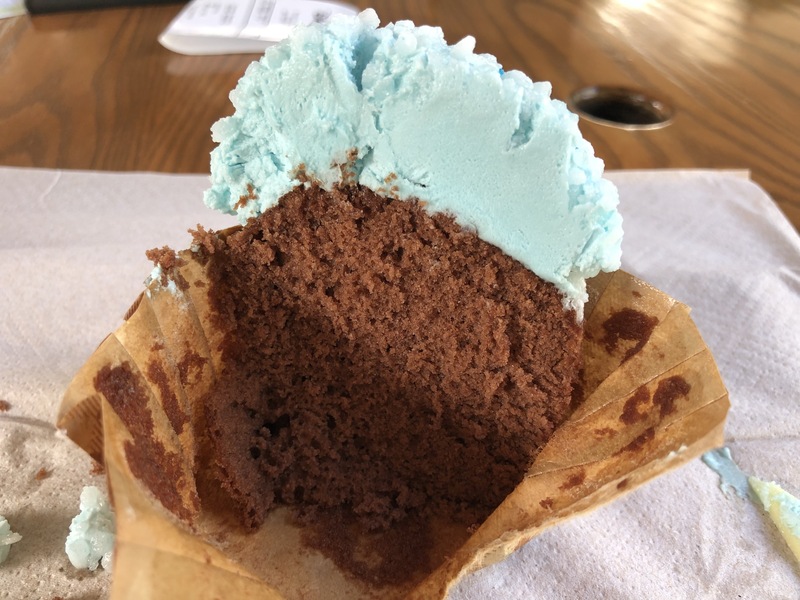 Execution on the moistness of the cake is nicely done, but the red velvet flavoring just wasn’t there. 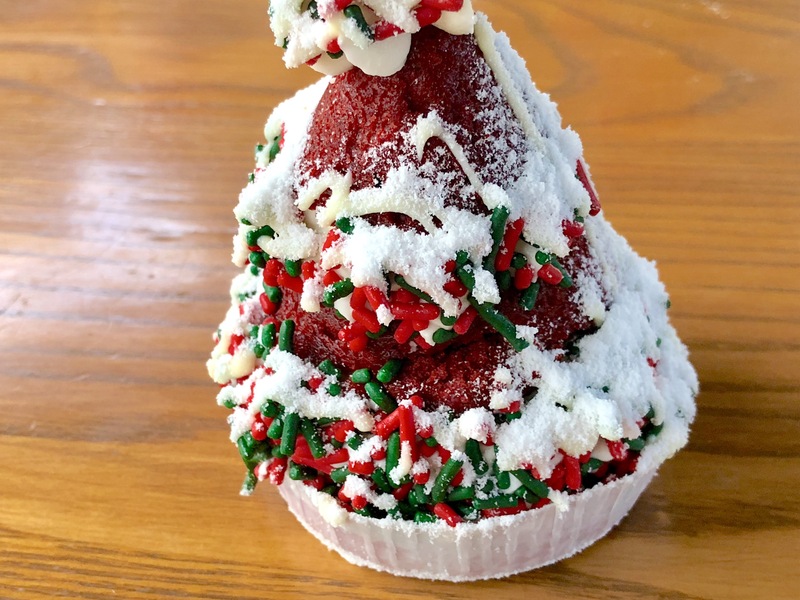 Fans of red velvet might want to pass on lack of traditional red velvet flavor alone, but it does stand as a nice treat that will surely get you a few likes on Instagram. A nice snow-covered appearance is accomplished with powdered sugar. 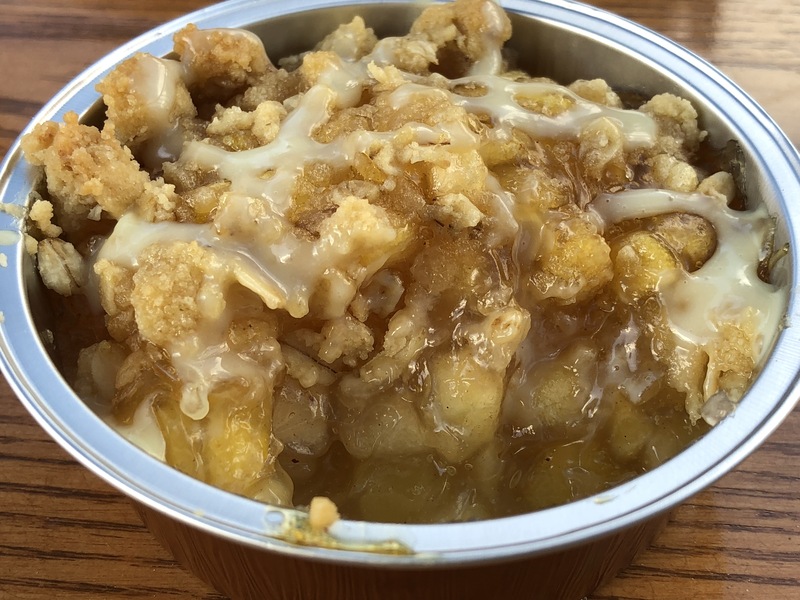 We’ll be back to try some more treats in the coming days, so be sure to check back!